PPC Management Testimonials | Net Gravity Inc. 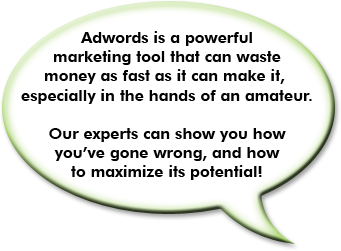 They have since day 1 given 100% of themselves to our marketing project - first class PPC management company. Finding them to help us with our PPC campaign was the best thing that ever happened to our online marketing initiatives - and we haven't looked back since. Our conversion rate is up and the cost per conversion is down and clicks are way up. “ OUR CONVERSION RATE IS UP AND THE COST PER CONVERSION IS DOWN AND CLICKS ARE WAY UP.” What more could we ask for from a super responsive, high producing PPC company? We are happy! The results that we have achieved far exceed the investment and continue to improve day by day. I highly recommend Net Gravity. I've been involved in the PPC arena for over 4 years and have personally spent over $50K on AdWords, and managed over 6 figures of ad spend for my PPC clients. “ I SPENT WEEKS INTERVIEWING DIFFERENT PPC AGENCIES FROM AROUND THE WORLD. VERY FEW KNEW WHAT THEY WERE TALKING ABOUT. AS SOON AS I STARTED SPEAKING TO NET GRAVITY I KNEW I HAD FOUND THE RIGHT AGENCY.” I spent thousands of dollars and many, many hours learning PPC from the worlds foremost PPC experts such as Perry Marshall, James Schramko and many others so I already knew a lot about Google AdWords and was leveraging it successfully already. When I couldn't personally create and manage AdWords campaigns for all the people that were asking me to, I knew I had to find someone qualified to refer them to. I spent weeks interviewing different PPC agencies from around the world. Very few knew what they were talking about. As soon as I started speaking to Jim from Net Gravity I knew I had found the right agency when he started showing me tips and techniques even I hadn't discovered yet! Jim and his team created and have been managing some of my clients PPC campaigns for sometime now and every month they help them get more and more conversions for a lower price. Thanks guys, eh! Our 2+ months of experience with Net Gravity has been very positive. Net Gravity came to us heavily recommended by an existing client and I can confirm all of his sentiments. “ WE GET DAILY REPORTS OF ACTIVITY ON OUR KEYWORDS SO WE CAN MAKE ADJUSTMENTS VERY QUICKLY TO AVOID WASTING MONEY ON INAPPROPRIATE RESPONSES. THE NUMBER OF INQUIRIES AND QUOTE REQUESTS HAS DEFINITELY INCREASED SINCE WE STARTED USING NET GRAVITY. ” We get daily reports of activity on our keywords so we can make adjustments very quickly to avoid wasting money on inappropriate responses. The number of inquiries and quote requests has definitely increased since we started using Net Gravity. This could be due to an improvement in overall economic conditions, but, from the types of responses and the keywords we find being used, I think this is mostly due to the ad campaign. Jim has been very helpful with frequent suggestions as opposed to previous service which I would hear from a few times a year.